For those who don’t know the mandate of the U.S Open, it is a tournament that aspires to cultivate international cachet – a top-shelf showdown where the American elite can face the foreigners. 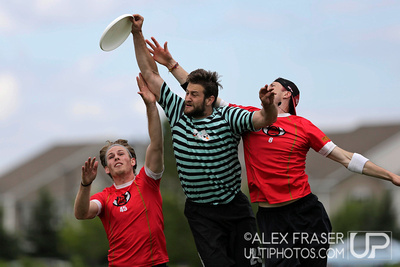 To that end, they annually invite teams from various high-powered ultimate nations to partake in the action. Since only the top end of the TCT Pro Flight can earn an automatic berth to the U.S. Open, Furious (alongside Traffic and Union) qualified thereto as the Canadian envoys by winning the Canadian Ultimate Championship. Notably, though, it was also a TCT-required tournament of Furious, in lieu of the otherwise compulsory Elite-Select Challenge, which unfortunately overlaps with the World Ultimate Club Championship in Italy. All this to say, the club season has become very complicated of late, and it now fills my posts with elaborate jargon and ulti-babble.